What a performance, but what a price! I can't quite believe that I'm sitting here using a set of earphones that have an RRP of £330. Fortunately, most retailers are selling them lower than that - £269 seems to be the best price we found. And how good can earphones get, anyway? Actually, very very good. These things are without a shadow of a doubt the finest pieces of audio technology ever to rattle my tympanic membrane. 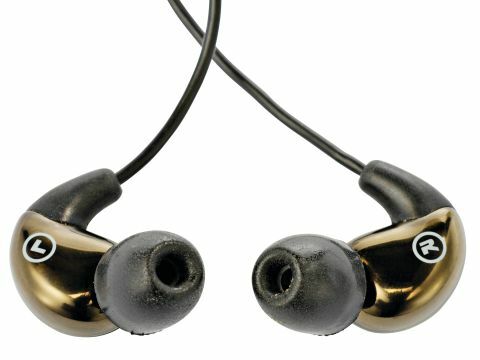 And well they should be, as each earphone contains three microspeakers - a dedicated tweeter and a pair of diminutive subs - to drive the sound directly into your brain-strings. The audio quality is simply stunning, and even at the top of an MP3 player's volume knob, they don't distort. I can't even knock the things for being as expensive as they are; you want the best, you pays the most. And if these aren't the best, they're pretty bloody close to it.